Israeli occupation forces (IOF) on Sunday arrested three Palestinians, including a woman, in Ramallah city. The PIC reporter said that the IOF raided a shop in Batn al-Hawa neighborhood and arrested three employees. He added that clashes broke out in the area between dozens of Palestinian citizens and the IOF soldiers who heavily fired rubber-coated metal bullets and teargas canisters. The Palestinian citizens responded by throwing stones and empty bottles and closing the city's roads with rocks and waste containers. Local sources reported that the IOF surrounded a residential building in the neighborhood and used its rooftop as a lookout. Palestinian Red Crescent Society said in a press statement that a Palestinian citizen was transferred to Palestine Medical Complex after he suffered teargas inhalation during the clashes. Based on official statistics released by the Palestinian Detainees and Ex-Detainees Affairs Commission, there are 6,500 Palestinian prisoners languishing in Israeli jails. 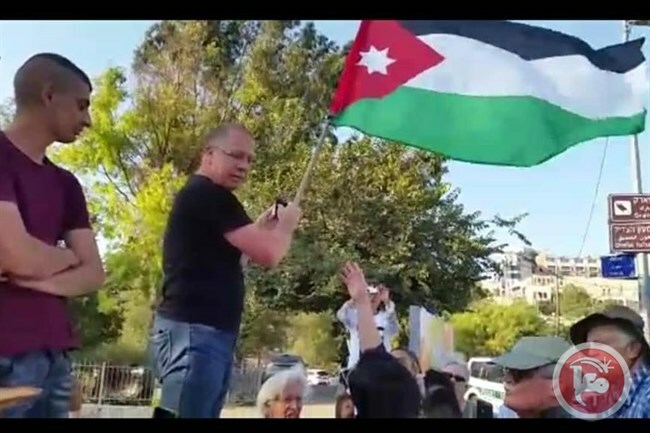 The Israeli authorities rearrested, Sunday, a Palestinian political prisoner with French citizenship, minutes after his release from prison after spending thirteen months under arbitrary Administrative Detention orders without charges. 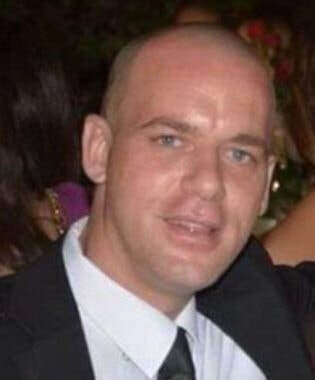 The Palestinian Salah al-Hammouri, from occupied East Jerusalem, was held at the Negev Desert Detention Camp for thirteen months, under Administrative Detention orders, and was rearrested immediately after his release. He was taken prisoner on August 23rd, 2017, and was instantly held under Administrative Detention orders. 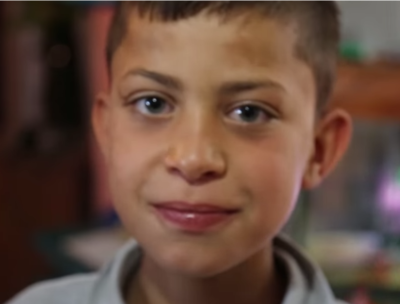 Salah is also a former political prisoner, who was held by Israel for more than six years. It is worth mentioning that Salah is married to a French woman, and the two have a child; the Israeli authorities deported his wife to France along with their child, while at the same time denying him the right to travel, thus separating the family. 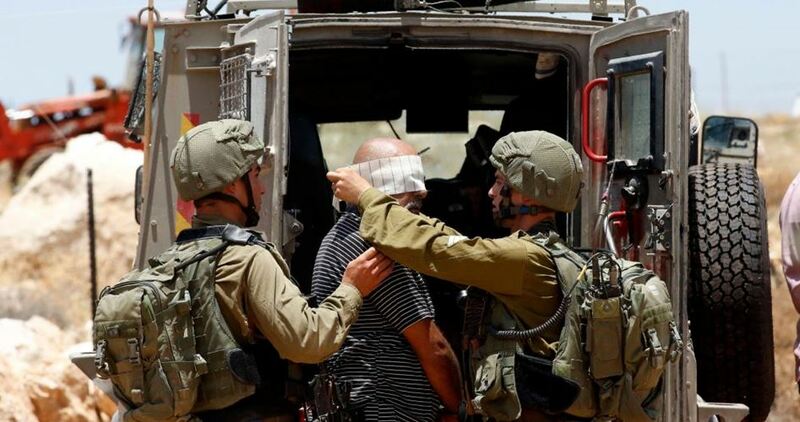 Israeli occupation forces (IOF) at dawn Sunday arrested seven Palestinians, including two children, during large-scale campaigns launched in the West Bank. Local sources said that a Palestinian youth was injured by live ammunition during an IOF raid into Nahalin town, west of Bethlehem, which led to the outbreak of clashes between Israeli soldiers and the town's residents. Nahalin's mayor Subhi Zeidan said in press statements that the IOF broke into the house of the Palestinian citizen Mohammed Shakarna amid heavy firing of live ammunition, teargas canisters, and sound bombs. He added that Shakarna's son was injured by a live bullet and was transferred to a local hospital for treatment. The IOF further arrested Ali Najajra, 16, and Saif al-Din Najajra, 17, after raiding their family house in Nahalin. Five Palestinian youths were also arrested in al-Khalil and Jenin. 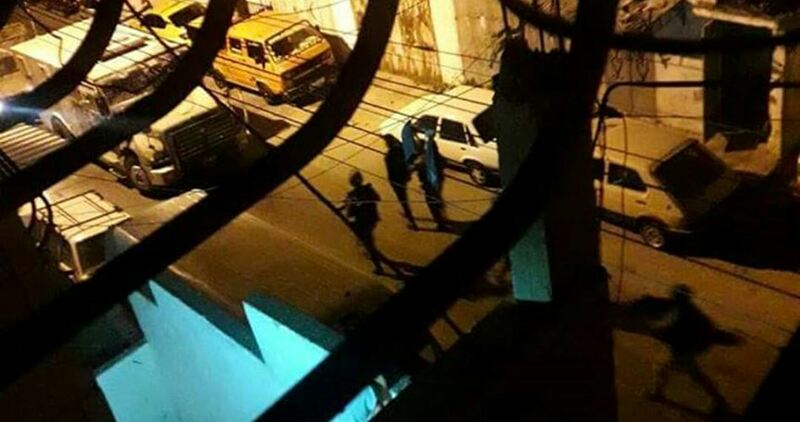 Local sources reported that the IOF stormed al-Jalazone refugee camp, north of Ramallah, raided some Palestinian houses, and wreaked havoc on them. Several IOF patrols entered Madama town, south of Nablus, and installed a checkpoint at the eastern entrance to Qalqilya city and scrutinized the IDs of the Palestinian citizens passing in the area, according to the PIC reporter. Israeli soldiers abducted, on Sunday at dawn, six Palestinians, including two siblings, in Hebron, Bethlehem and Jenin, in the occupied West Bank. 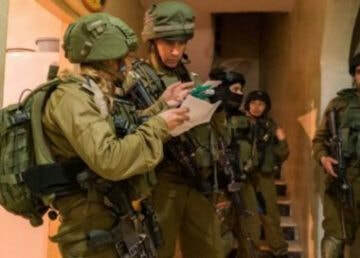 The Palestinian Prisoners’ Society (PPS) said the soldiers invaded and searched many homes, and interrogated many Palestinians before abducting the six. The PPS office in Hebron, in the southern part of the West Bank, said the soldiers abducted Baha’ Issa Zama’ra, and his brother Ahmad, in addition to Odai Hasan Zama’ra, from their homes in Halhoul town, north of Hebron. Furthermore, the soldiers invaded and searched homes in Bethlehem, and abducted Ali Khaled Najajra and Saifeddin Ahmad Najajra. The soldiers also abducted Mohammad Nidal Shalameesh from his home in Burqin town, west of Jenin, in northern West Bank. The Israeli military court in Maskubiya detention center has extended the detention of 16-year-old Khalil Jabbarin, who suffers bullet injuries, for 13 days at the pretext of allowing further investigation into his case. According to the Palestinian Commission of Detainees’ and Ex-Detainees’ Affairs, Jabbrin is now in Ramla Hospital and his health condition is stable and improving. Doctors in the Israeli Hospital of Hadassah had performed surgery on the wounded teenager to remove bullets from his body. Jabbarin was badly injured and arrested on September 16 after Israeli soldiers opened fire at him after he carried out a stabbing attack killing one Jewish settlers at the junction of Gush Etzion settlements in northern al-Khali. 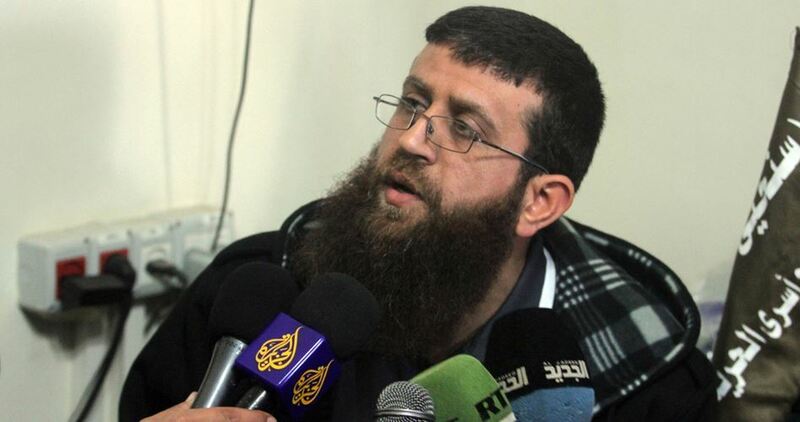 Palestinian detainee Khader Adnan's hunger strike in Israeli jails on Saturday entered its 28th day in a row. Mohjat al-Quds Foundation said in a press statement that Adnan started an open hunger strike 28 days ago in protest at his arbitrary detention. Mohjat al-Quds noted that his family and lawyer know nothing about his current health condition since they are prevented from visiting him by the Israel Prison Service. It called on concerned human rights organizations and the International Committee of the Red Cross to immediately intervene and pressure Israel to stop its aggressive policies against Palestinian detainees and give them their rights which are guaranteed by international conventions. 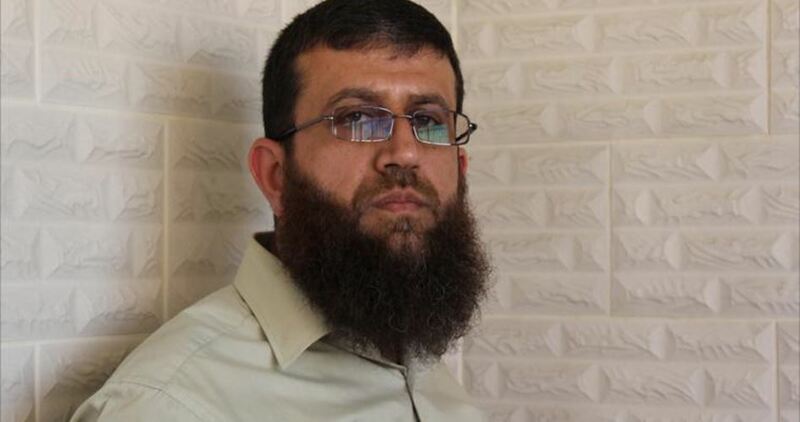 A resident of Arraba town in Jenin, Khader Adnan was arrested on 11th December 2017 on charges of incitement. He had waged two hunger strikes in Israeli jails against his administrative detention and was able to force the Israeli authorities to respond to his demands. An Israeli special force on Friday evening kidnapped a Palestinian child in an ambush in al-Khalil, south of the West Bank. 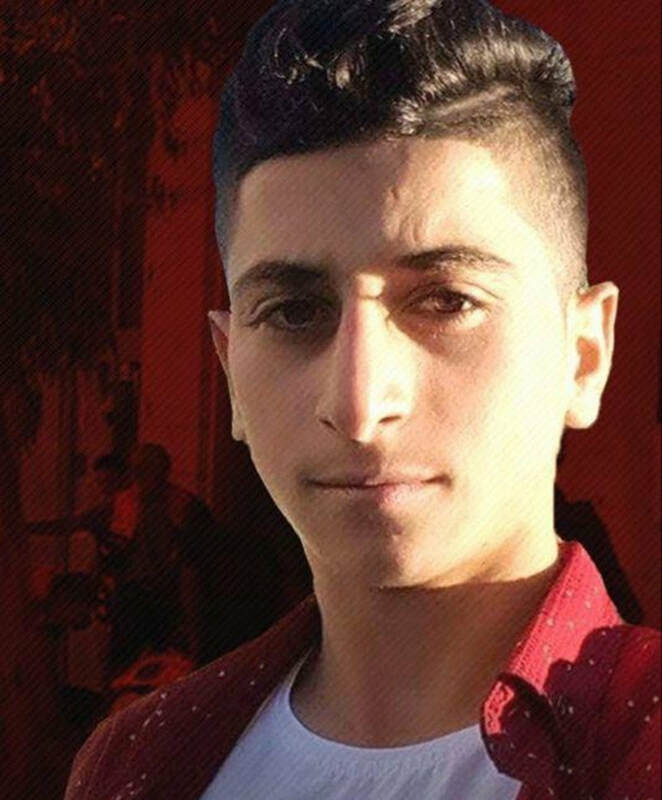 The PIC reporter said that Ahmad al-Qawasmi, 17, was kidnapped by a force of Israeli soldiers riding a black car near the entrance to al-Khalil city. He added that the Israeli soldiers threatened al-Qawasmi with their machine guns and forced him into the care before they fled the scene.